People can be allergic to all sorts of things, including grass, pet dander, and certain medications. These allergies can cause skin rashes and other reactions. The most common causes for allergic skin conditions include shampoo, jewelry metal, soaps, and some food. Learn more about other allergy causes and how you can treat them. Atopic dermatitis is common in people who have a family history of allergies and is the most common form of eczema. 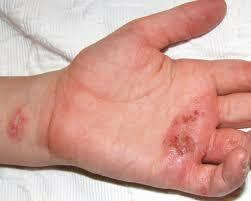 Atopic dermatitis typically causes dry, red, irritated, and itchy skin. Hives are red welts that appear on the body, typically clustered together, and can occur when a person is exposed to an allergen. Contact dermatitis can cause a rash, blisters, itching, and burning, and often happens when the skin is exposed to an irritant or allergen. If you are experiencing a skin reaction and aren’t sure what caused it, you should see a dermatologist or allergist to determine the cause. They may suggest allergy testing that can pinpoint the exact cause of your reactions and help you prevent coming into contact with that allergen in the future. If you are experiencing a severe skin reaction along with swelling of the lips, tongue or throat, shortness of breath, dizziness, or stomach pain, you should call 911 immediately. 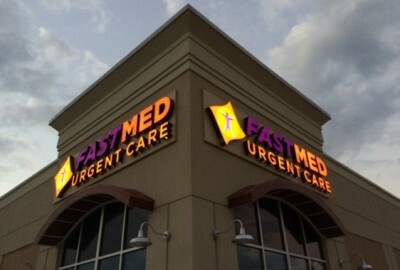 If you are experiencing a non life-threatening allergic reaction but want treatment from a medical professional, visit your local FastMed Urgent Care for fast and friendly care. Our walk-in clinics are open seven days a week with extended hours, making it easy for you to get the treatment you need, whenever you need it. Find out more about FastMed in your community by liking us on Facebook or following us on Twitter!